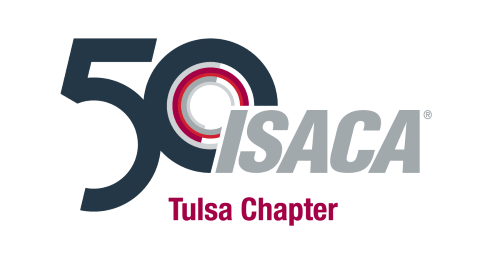 The Tulsa ISACA chapter provides communication and education about Information Systems Auditing in the eastern Oklahoma area. We sponsor meetings and programs on a regular basis to inform our members and the public about various aspects of IT auditing. The Tulsa chapter has over 160 members and continues to grow in size. Our membership includes 70+ Certified Information System Auditors and 10+ Certified Information Security Managers. Additional and specific statistics are on the right. The chapter meetings and chapter-organized training sessions provide members with the ability to immerse in a wide array of IT Audit and Security topics along with open discussion about the current topics and how to apply the information to member's careers. In addition, our chapter leaders have worked to develop relationships with leaders in related organizations in the Tulsa area to share in opportunities together to grow membership, broaden the scope of our learning, and have potential to access training opportunities that a single chapter may not have the membership to offer alone. For further information about the International ISACA organization see www.isaca.org; for more information about the Tulsa chapter contact one of our Board Members.